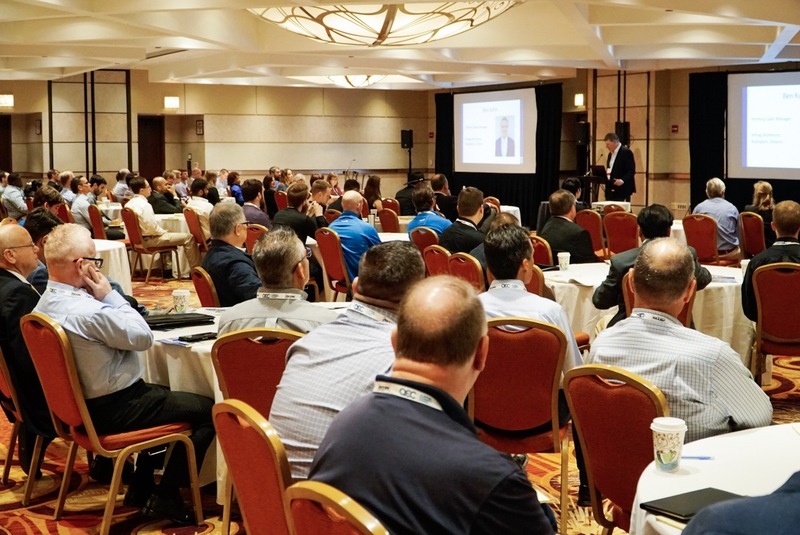 May 23, 2018; Chicago, Illinois -- More than 135 design, engineering and extrusion professionals attended Extrusion Design University, or EDU ’18, the new event produced by the Aluminum Extruders Council (AEC), held May 14-16, 2018 in Chicago, Illinois. 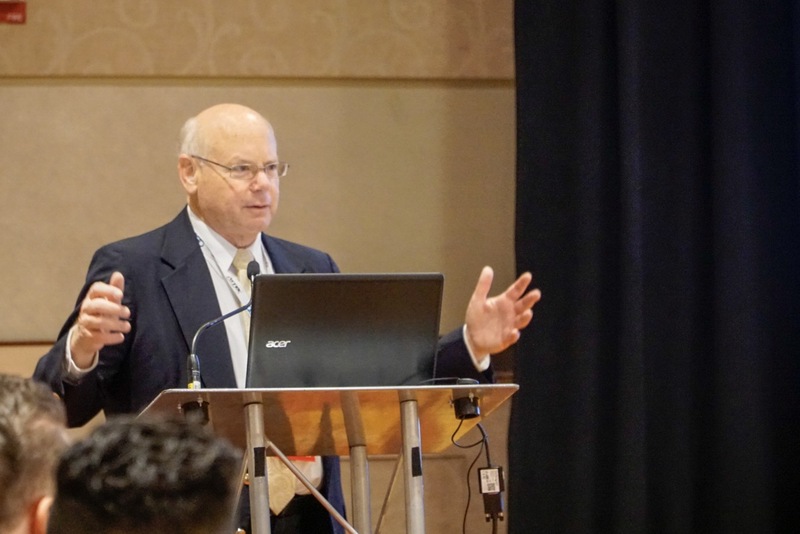 EDU ’18 included more than 25 hours of educational sessions, a general session, the EDU Expo, networking opportunities and co-located workshops covering various aspects of the extrusion process. 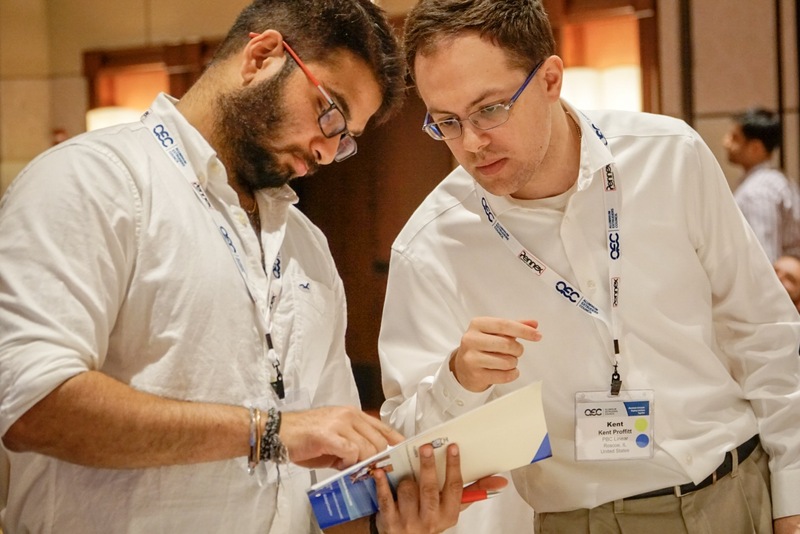 Members of the American Institute of Architects (AIA) were able to choose from 12 hours of AIA registered classes over the course of the event, potentially earning them a significant portion of their required continuing education learning units. In addition, educational sessions were potentially eligible for engineering professional development hours. Early feedback has been positive with extrusion customers and industry professionals alike praising the event. During the General Session on Tuesday, May 15, the winners of the ET Foundation’s 2018 Aluminum Extrusion Design Competition were announced. The Grand Prize winner, Micaela Morris, Director of Operations at Roll-a-Cover International in Bethany, CT, found EDU ’18 to be very beneficial. “It was a pleasure attending the Aluminum Extruders Council’s 'Extrusion Design University' event. The staff was welcoming and the event was organized and well thought out. The presenters were extremely knowledgeable about aluminum extrusions and the vast design [possibilities for] aluminum shapes that can be used in so many different industries and product designs. The educational seminars were insightful and made us think deeper about our use of aluminum extrusions in our business.” To see the complete list of winning designs, visit the Design Competition page of the AEC website at ETFdesign.org. EDU ’18 connected aluminum extrusion industry experts who understand extrusion design and production processes with design and engineering professionals who were interested in enhancing their understanding and knowledge of aluminum extrusion design, applications and technology. Topics at EDU ’18 covered a range of issues, including aluminum extrusion alloy selection and research, aluminum standards, architectural applications, energy/green building codes for aluminum extrusions, design optimization and aluminum sustainability. Add-on Workshops during the week included the Aluminum Anodizers Council’s Anodizing Essentials – Level 1 Workshop, Determining the Strength of Aluminum Extruded Members seminar taught by aluminum structural engineer Randy Kissell, and the AEC’s popular Extrusion Excellence: Applied Fundamentals for Aluminum Extruders, taught by Professor Wojtek Misiolek of the Institute of Metal Forming at Lehigh University in Bethlehem, PA.
At the end of the conference an optional tour, sponsored by Custom Aluminum Products, was offered to provide extrusion customers an opportunity to see the many facets of an aluminum extrusion production plant. Participants were able to tour the Custom Aluminum Products Genoa, IL facility and view their extrusion, paint and fabrication operations. Additional EDU ’18 sponsors included Light Metal Age magazine and Pennex Aluminum. AEC leaders will evaluate the program and feedback from participants to get a sense of how this new event will fit in with the Council’s other educational offerings in the future. To keep up-to-date with news and upcoming events from AEC, be sure to sign up at AEC.org.